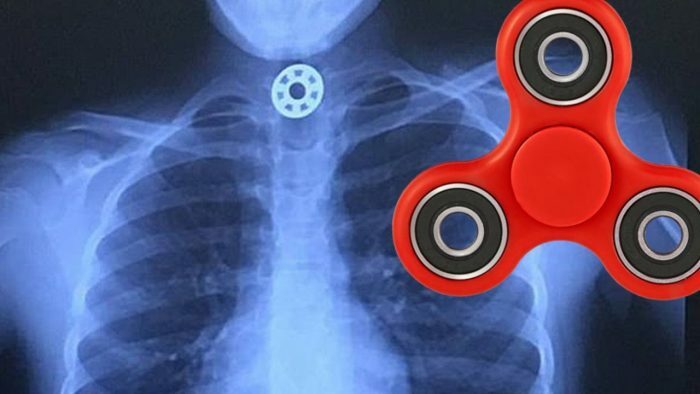 So far, no deaths have been reported, but a number of children have choked on pieces of the toys, including a 10-year-old girl who had to have one of the bearings from a fidget spinner surgically removed. Buerkle added in the statement that fidget spinners should be kept away from children under the age of 3. On the topic of battery-operated fidget spinners, the agency says that buyers should never leave one of the toys charging unattended, never charge them overnight, and always use the charging cable the spinner came with. To translate, treat battery-operated fidget spinners like any other battery-operated device, such a smartphone or tablet. In its business guidance, the commission said that most fidget spinners are considered general-use products, meaning they aren’t actually intended for children, and therefore don’t have to meet those standards. Always have working smoke alarms in your home. If the fidget spinner you purchased did not come with its own charging cord, make sure to use one with the correct connections for charging. Immediately unplug your fidget spinner once it is fully charged.